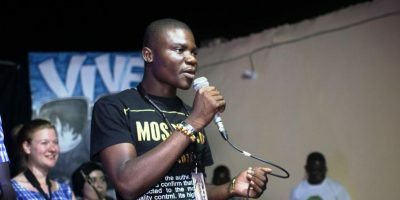 One day before the official opening of the CTD conference and the festival N’djam s’enflamme en slam, the organizers replied to the journalists’ questions in a press conference. 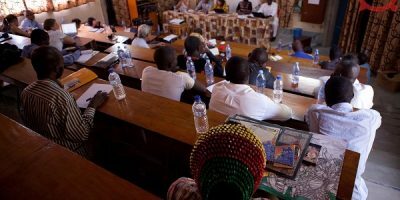 Journalists, researchers, slammers and other artists filled the Maison Culturelle Baba Moustapha, that will host many other events in the next few days. To address the journalist’s questions, the artistic director of the festival N’djam s’enflamme en slam, Didier Lalaye aka Croquemort; the coordinator of the CTD programme, Mirjam de Bruijn; the representative of CRASH, Allah-Kauis Neneck ; the coordinator of the association Tchad Plus, Marino Alain. The event was moderated by Ricardo Labe. The speakers gave an extensive introduction to the activities that will take place in the next days both artistically and academically. Read more on the article from Rolland Albani, from SAO magazine (in French)!